When done well, your work becomes art. That’s probably the only sign of success that personally excites me. Fame? Money? Likes? Shares? Follows? When the work that you’re doing is, literally, considered art, it truly transcends. This is one of the exact reasons why people laud business luminaries like Steve Jobs and Elon Musk. They elevated the ordinary of business to an art form (whether you love their brands or not). You can see this type of magic in everything from business to martial arts. In the late eighties, I was a teenager with a deep passion for music… and the music industry. Through a series of already told tales, I managed to become a music journalist while still in my teens. I was not only wet behind the ears, but I looked like a kid (for reference, please watch the movie, Almost Famous). One of my first in-person interviews and first Canadian band interviews was this up and coming rock band out of Kingston, Ontario called, The Tragically Hip. This interview was also the moment in time that I met their manager at the time, Jake Gold (who many now recognize as one of the judges from Canadian Idol). A friend to this day. There’s a slew of behind-the-scene tales that I could weave here (but I won’t). It was the first of many times that I would interview the band, hang out and see them perform live. Gord is gone. I can’t believe that Gord is gone. If you had terminal brain cancer, what would be your next move? The Tragically Hip had a new album in the can. They were preparing for a pending tour. Everything changed. Nothing changed. As my good friend and fellow music journalist, Martin Popoff, best described it, the band decided to go out on tour for a “victory lap.” A Canadian tour from coast to coast with a million uncertainties and a million ways for it to go sideways. A new documentary that aired last Friday called, Long Time Running, details the tour, the news and everything that went along with it. I could hardly make it through the movie. Those who know me from my days in the music industry are often surprised by what I’ve done in this marketing industry. Those in the marketing industry are often surprised by my past in the music industry. To both, these seem like divergent industries. To me, it all makes perfect sense. A band is not all that different from a brand. It’s something that was created, and whoever created that something wants as many people as possible to know about it, be connected to it, tell others about it and to keep being connected to it. Some don’t like to think about the commercial aspects of art. Some don’t like to think about art being related to their commercial work. Your work is (or should be) your art. 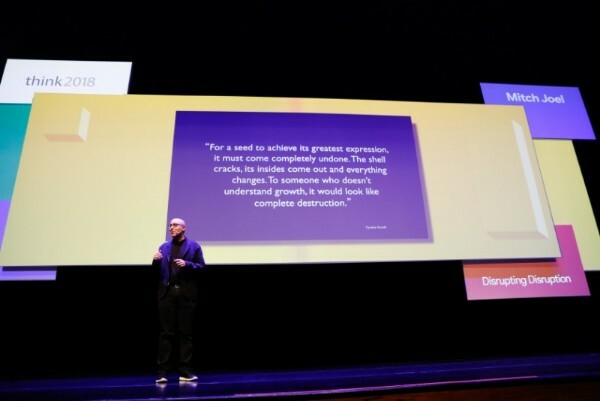 Seth Godin says it. I’ll listen to him. Thanks, Gord. Thanks, The Hip. Great brands can (and should) become a part of our cultural fabric. Like The Hip. Like Gord.